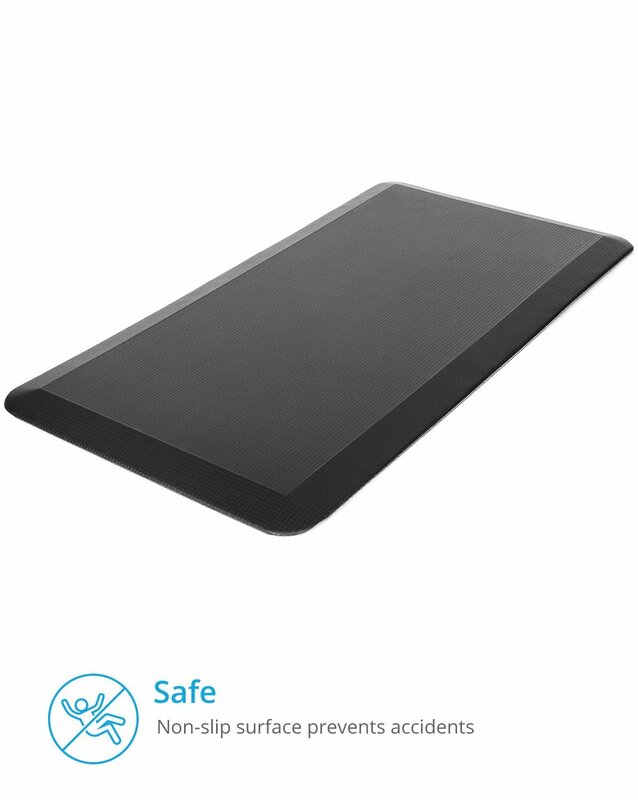 This Royal Anti-Fatigue Comfort Mat is only $26.99 with free Prime shipping on Amazon right now. It measures 20” x 39” x 3/4”. If you stand a lot in the kitchen this is a great deal. 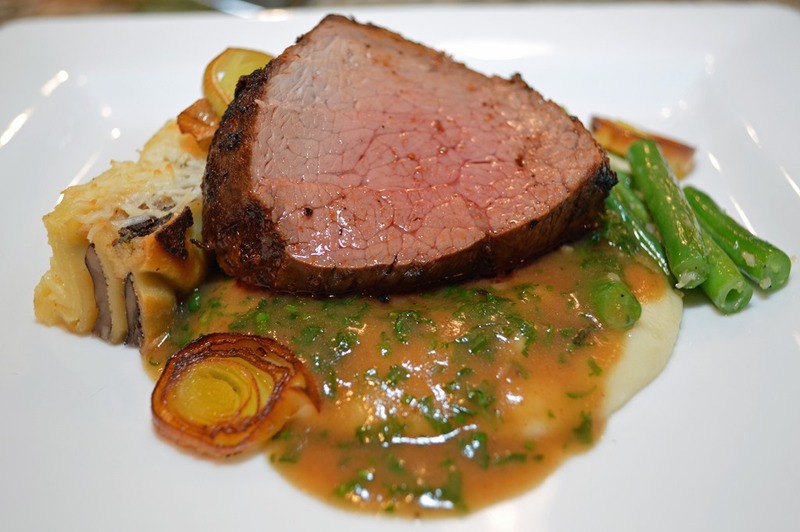 If you have given even the slightest thought to getting a Sous Vide now is the time. Amazon is running a killer deal for the Anova Sous Vide Immersion Circulator (2nd Gen) WIFI, 900 Watts here. They normally run $199.99 but are $119.00 right now. Pronounced “sue-veed and French for “under seal” it is a cooking technique used by many chefs that is has recently taken hold with home cooks. 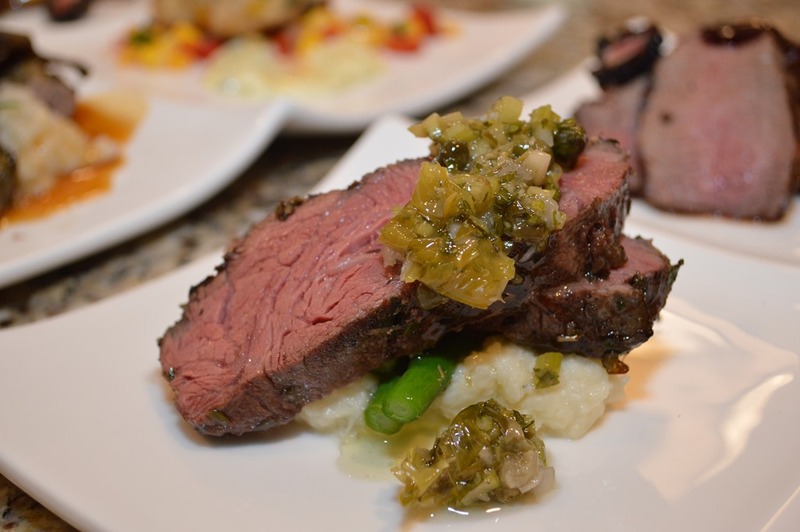 A Sous Vide is especially useful in taking less expensive cuts of meat and turning them into mouth-watering delights. Wikipedia has an in-depth explanation of Sous Vide if you are new to it. The YouTube channel Sous Vide Everything is an excellent resource. The stress of endless medical appointments, medications, and therapy wears on our Wounded Warriors draining almost every ounce of energy from them. Many plan and wait a month or more to come to the retreat for its promise of rest and relaxation. The drive from Walter Reed National Military Medical Center to the retreat seems to take forever. In the final miles and as they turn into the driveway and see the retreat for the first-time thoughts of hospitals and therapy fade away. They have seen the web page, read the brochure, and heard great things about the retreat from their Guest Stay Coordinator, but the best is yet to come. Most do not understand how hard retreat staff and volunteers work to give them the gift of memories of good times and normalcy. Memories of their first massage, their first helicopter ride, their first symphony concert, a professional photo shoot to capture the joy of a stress-free stay at the retreat as a family. 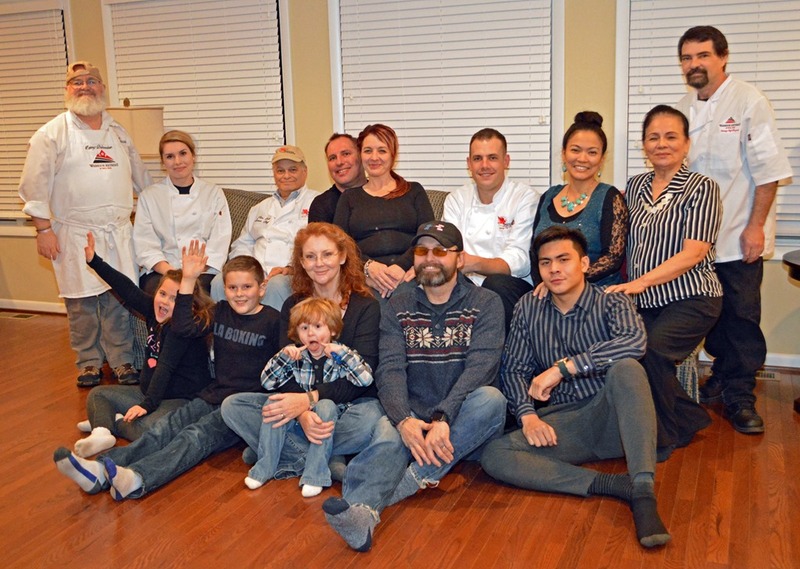 One of the most memorable events of their stay is Visiting Chef Night on Sunday. 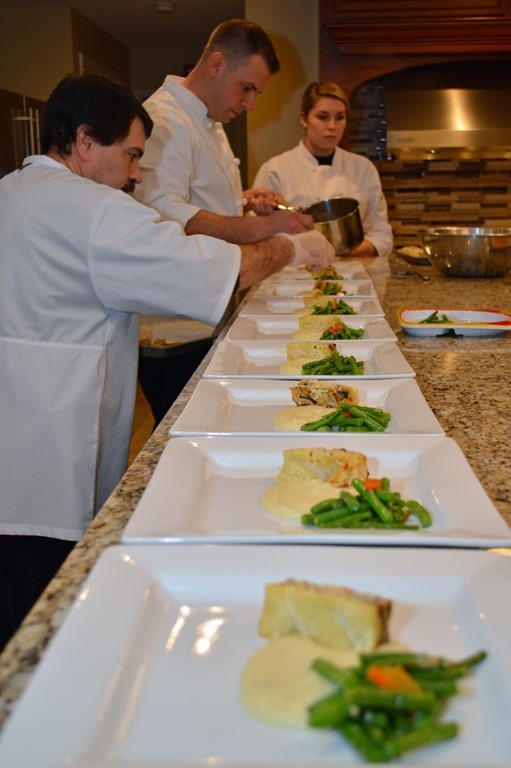 Diner is prepared by world class chefs from around the region who volunteer to come to the retreat and prepare extraordinary meals for the families. 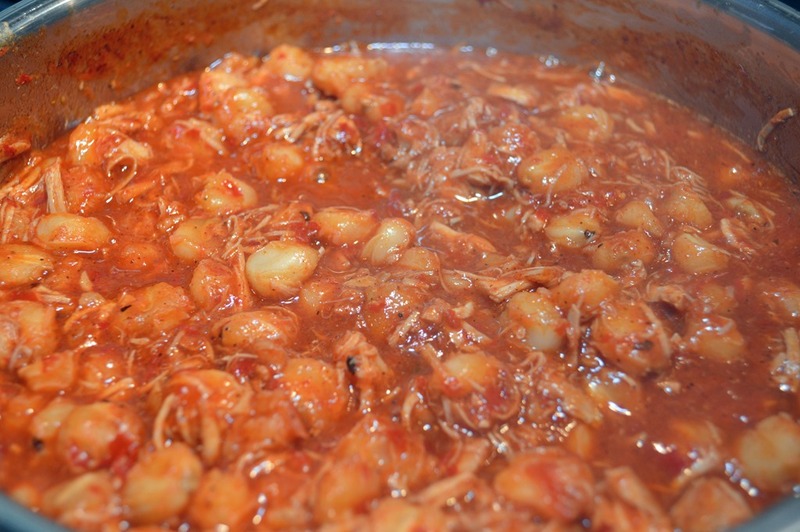 Most families describe it as the best food they have eaten. 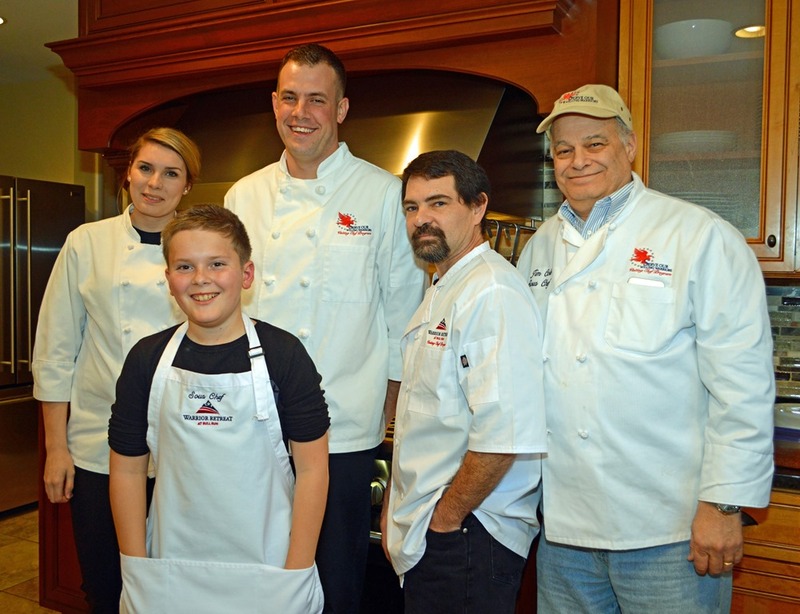 (L to R) PO2 Sierra Tyler, USN and FS1 Jason T. Rohrs, Coast Guard – Enlisted Aides/Chefs to General Joseph Dunford, the 19th Chairman of the Joint Chiefs of Staff with retreat Executive Event Chef Ken Gardner, Sous Chef Jim Cole, and a Warrior’s son. In our mission to make the family’s stay special we created the Visiting Chef Program to introduce families to the restorative properties of fine food. 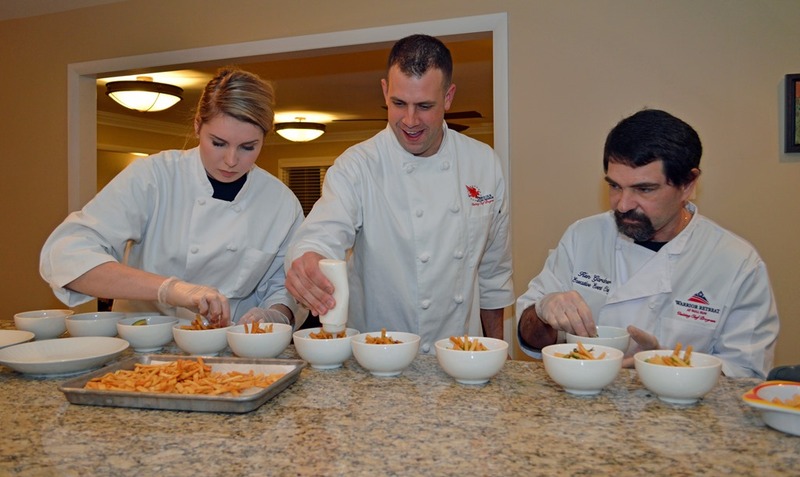 We also believe it offers chefs a way to give back doing the thing they love and that they will quickly learn what many SOWW volunteers know, working with Wounded Warriors and their families is an extraordinarily rewarding experience. Today we have 49 volunteer chefs from some of the finest restaurants. Besides restaurant and catering chefs, top military chefs have joined the program. They include FS1 Jason T. Rohrs, USCG Chef to General Joseph Dunford, the 19th Chairman of the Joint Chiefs of Staff, CS1 Patrick Parigi, USN Chef to the Commander, Naval Reactors/Propulsion, CSC (SW) Matthew P. Susienka, USN Executive Chef to the Commander Naval Service Training Command, MSgt. Jennifer L Medeiros, USAF Chef to the Vice Chairman of the Joint Chiefs of Staff, and MSgt. Sarah L Morgan, USAF Chef to the Air Force Chief of Staff. 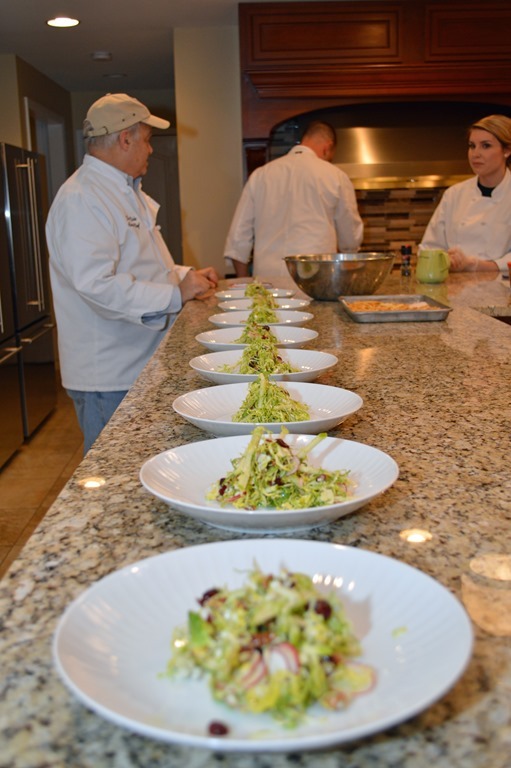 The success of the Visiting Chef Program is due to three chefs who contribute selflessly. Volunteer Staff Sous Chef Jim Cole is there assisting the visiting chef almost every Sunday. Volunteer Executive Event Chef Ken Gardner is the Lead Chef on every SOWW event and serves as a back-up Sous Chef. And Chef Benedict Zappone who has prepared meals for Warriors ten times. He comes out on dates where no other chef is available, like Mother’s Day and Christmas Day. The Visiting Chef Program is much more than exceptional food. 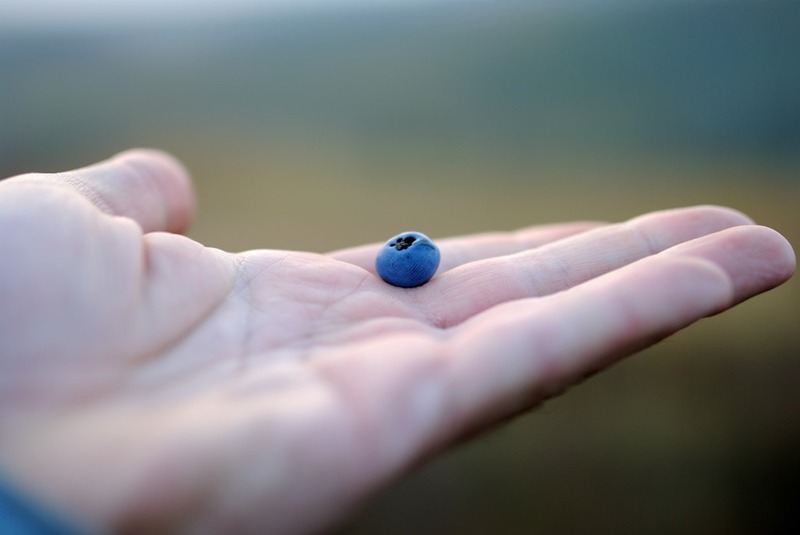 For countless families, it is an introduction to farm-to-table cuisine they are not likely to experience on their own. 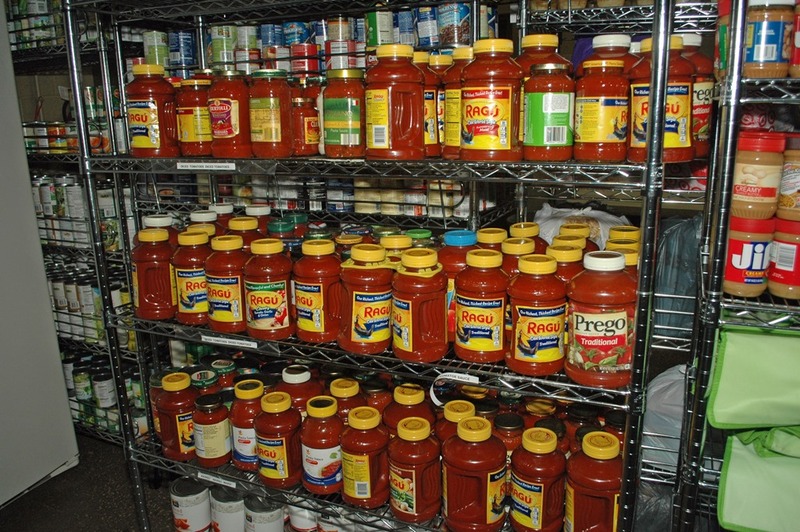 Many cannot afford dining at the chefs’ restaurants. Most of our Warrior guests suffer from PTS and have not been to a restaurant in years. The noise and commotion of a busy restaurant can overwhelm them. The Visiting Chef Program brings that personalized 5-star dining experience to them at the retreat. Many Warriors and family members of all ages don an apron and love the opportunity to help and learn from the chef. 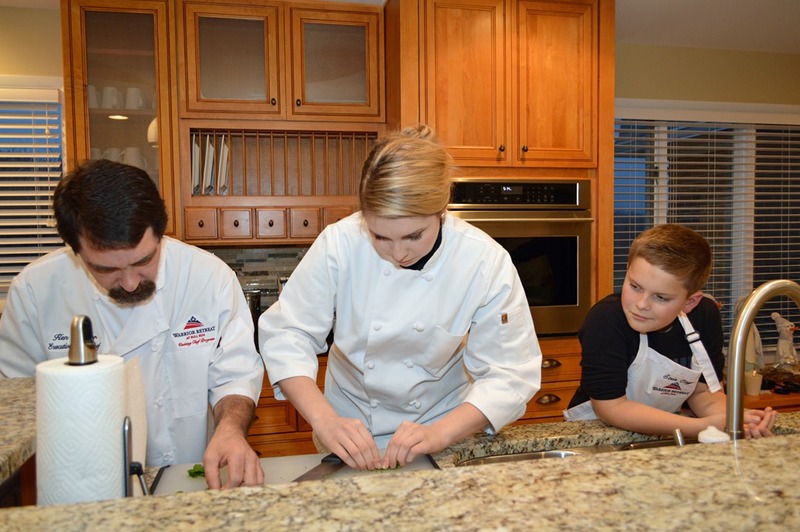 The Visiting Chef Program strives to create fond memories that last a lifetime for the families. One of my favorite dinners was for the late Sergeant Scott Adkins who lost his battle with cancer not long after his family stayed at the retreat. 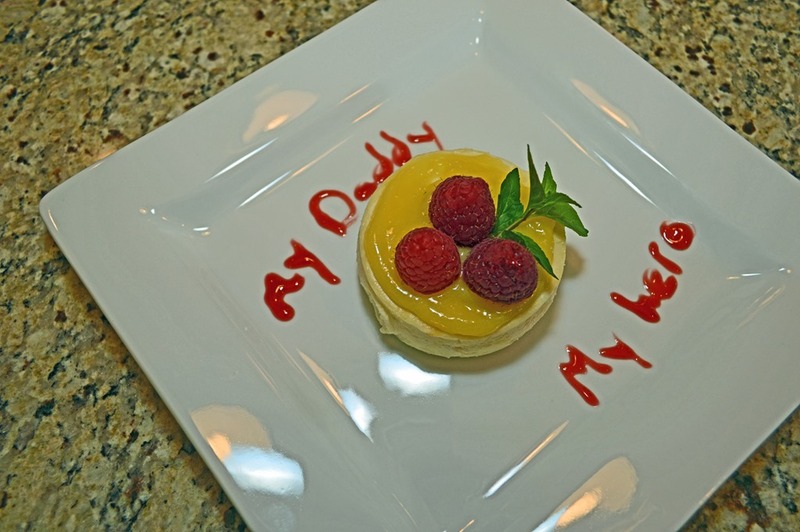 The chef taught his daughters how to write with raspberry dessert sauce. I’ll never forget the smile that came to Sergeant Adkins face when his daughter put down his dessert and the plate read “My Daddy My Hero.” It’s not only the families receiving warm memories. I have the distinct honor and privilege of volunteering at the Warrior Retreat at Bull Run. The retreat is a 2.5 million dollar 11,000 sq. 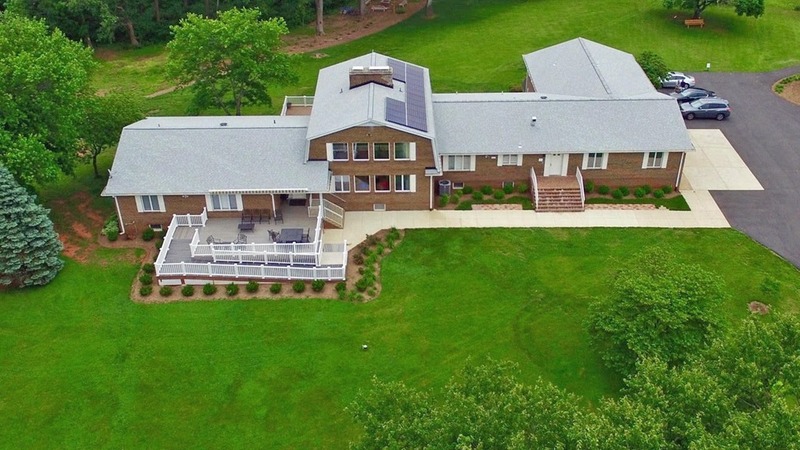 ft. home on 37 acres in Haymarket, Virginia. We invite wounded Warriors and their families out from Walter Reed National Military Medical Center and Ft. Belvoir Community Hospital to spend 5 days out of the hospital and rehab environment. I am the lead on the Visiting Chef Program. 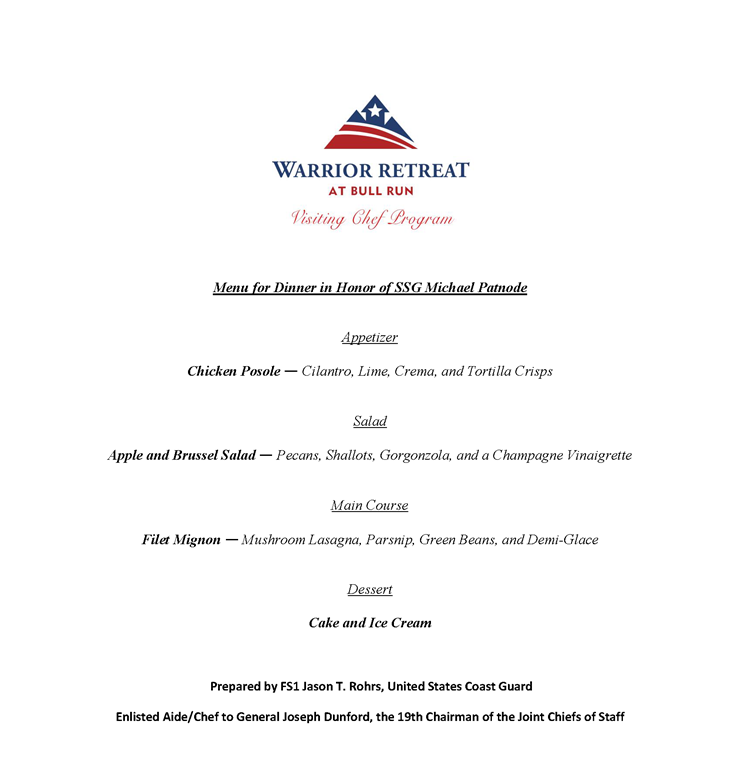 On Sunday night during each guest stay we invite chefs from the area to come out and prepare extraordinary meals for the wounded warrior and their family. Last night was the Warrior’s birthday dinner with 10 friends and family and I thought I would invite some special chefs. Each warrior completes an application to come to the retreat that includes about 20 food questions. 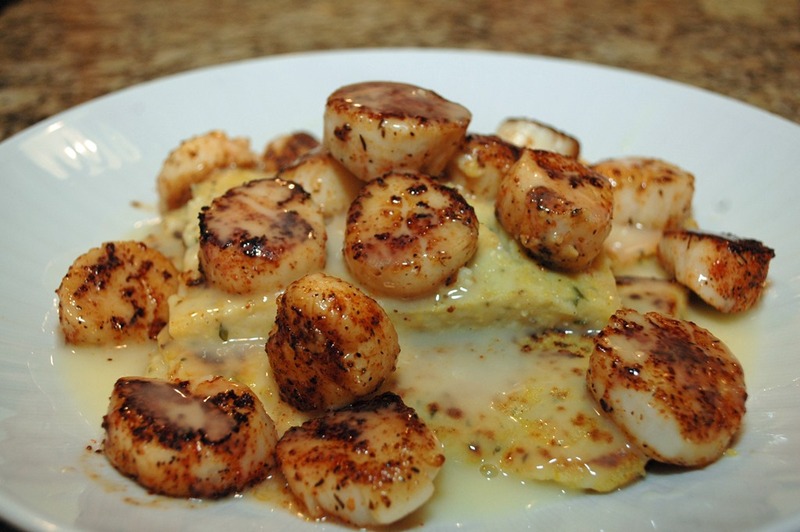 Gluten free, allergies, spice tolerance, favorite dishes etc. The answers to the questions go to the Visiting Chef to help them design a 4 course meal. 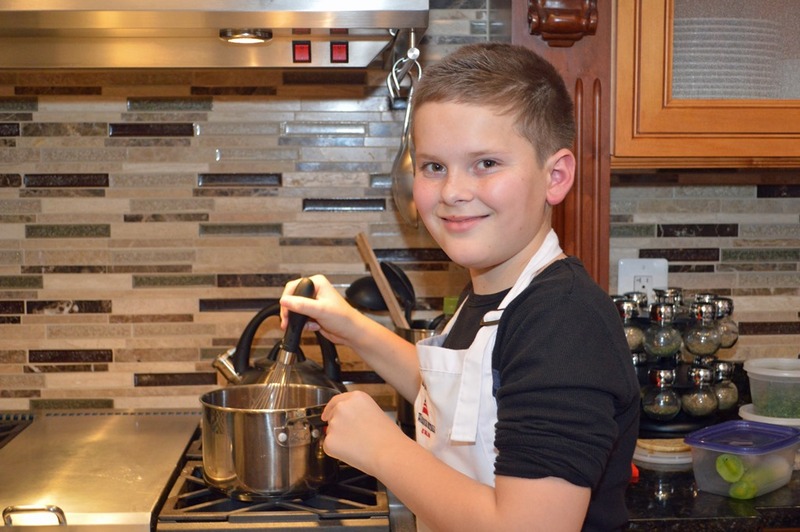 The Warrior’s son learned what it was like to be a Sous Chef. 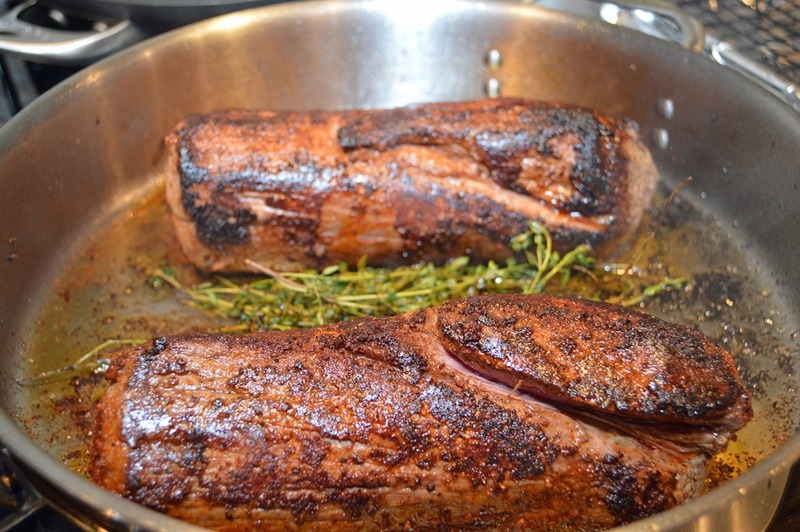 Filet Mignon is ready for searing and the oven. 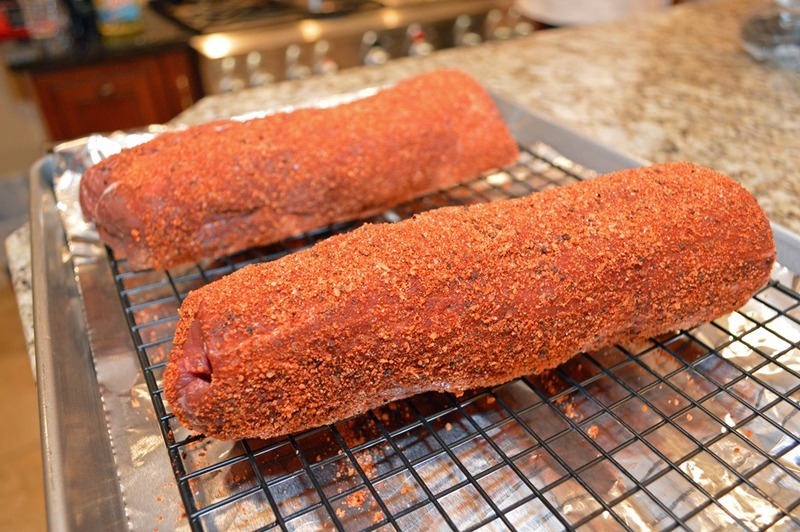 Just about done searing and then into the oven. 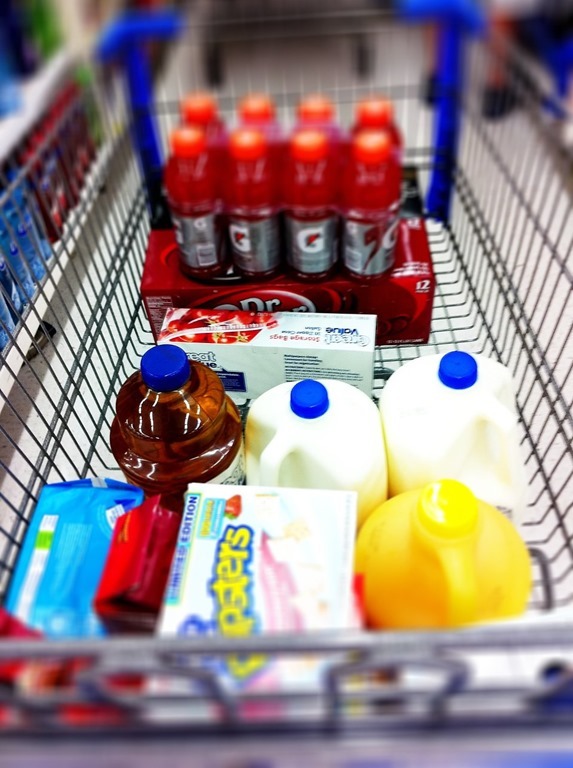 There is always prep work. 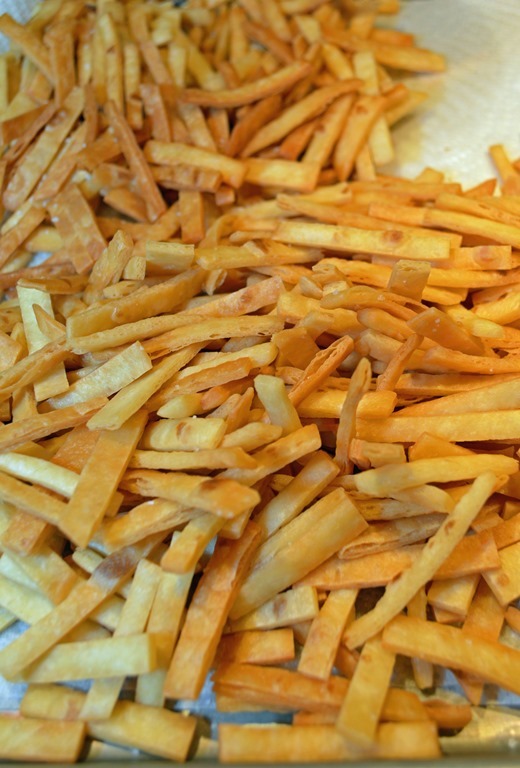 Tortilla sliced up and crisped in vegetable oil. Here comes the main course. 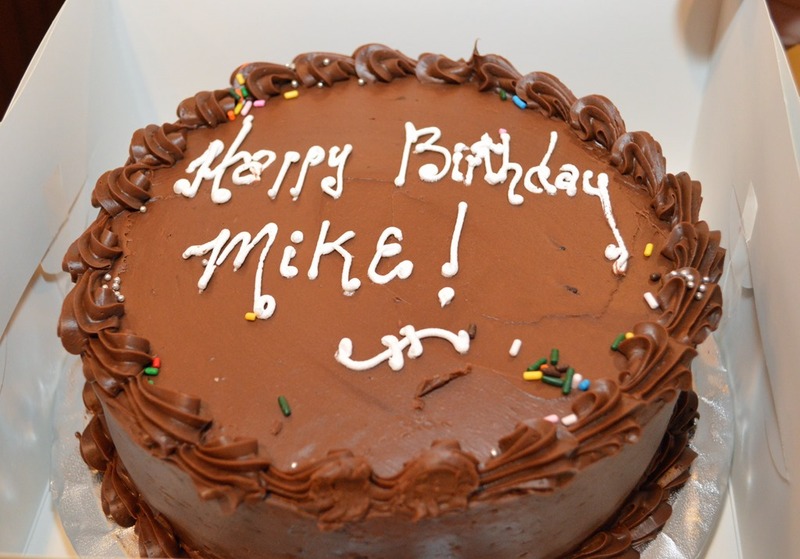 The birthday cake was created by Brenda Wilks with our amazing Bakers on Call Team. Bakers on Call are more than 30 volunteer home bakers who make sure the Warrior’s favorite fresh baked goods are waiting for them when they arrive for their stay. The Bakers on Call have just started supporting the Visiting Chef Program. Most of our chefs are savory with just basic pastry skills. We looked at increasing the involvement of our Baker’s on Call Team and they are now doing much of the custom dessert work for Visiting Chef Night. 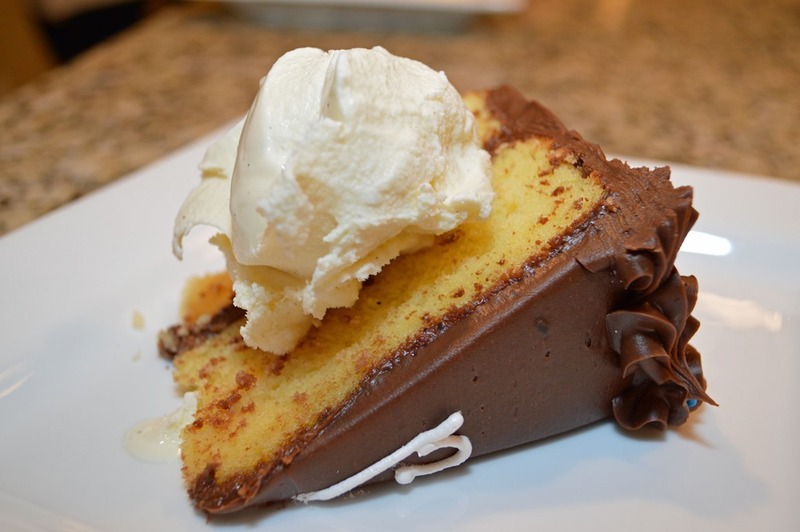 The Chef is welcome to make dessert if they like, but most of relieved not doing it. Everyone had a great time and loved the food. 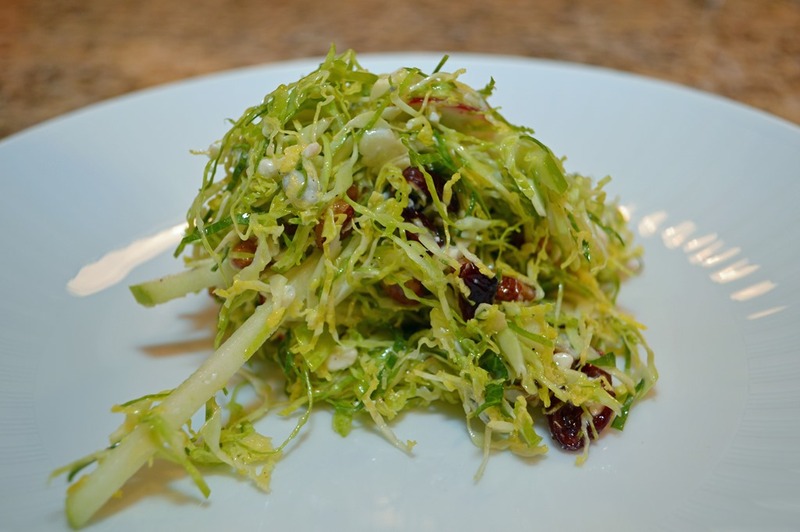 If you would like to see more pictures from this dinner and other Visiting Chef Night dinners visit our Flickr.com page. If you are a chef and would like to learn more about how you can volunteer and give back please see the Visiting Chef Program web page. As Chris and the crew at Dizzy Pig get ready to move to their new headquarters they are having a big sale. On Saturday January 21st, there’s a storewide 10% off sale. Everything except Thermapens and Smoke Thermometers. It’s a great time to stock up on your favorite seasonings, BBQ accessories, and that new Big Green Egg you didn’t get for Christmas. Chris will be cooking from 11am to 2pm so you can eat while you shop. It doesn’t get much better than that. Wait, Dizzy Pig is a Yeti dealer.